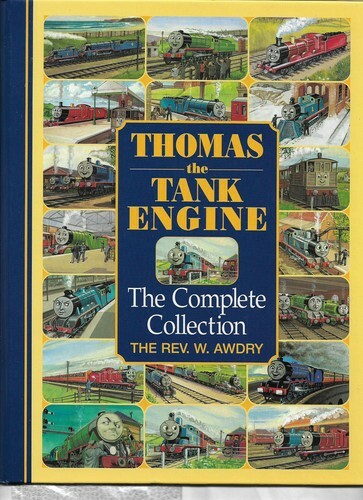 Thomas The Tank Engine the complete Collection. A 415 page hard cover book containing all 26 of Rev. W. Awdry's Railway series books.. HD Wallpaper and background images in the Thomas the Tank Engine club tagged: photo rev. w. awdry thomas books railway series. Since I’ve gotten this book from Amazon I have been reading two stories a night and I’ve found that the TV series is very faithful to the book some time reading it word for word. The first four seasons are anyway, along with those CGI episodes on Mike, Rex, and Burt. I have this book too. Bought it in Florida back in 2005.